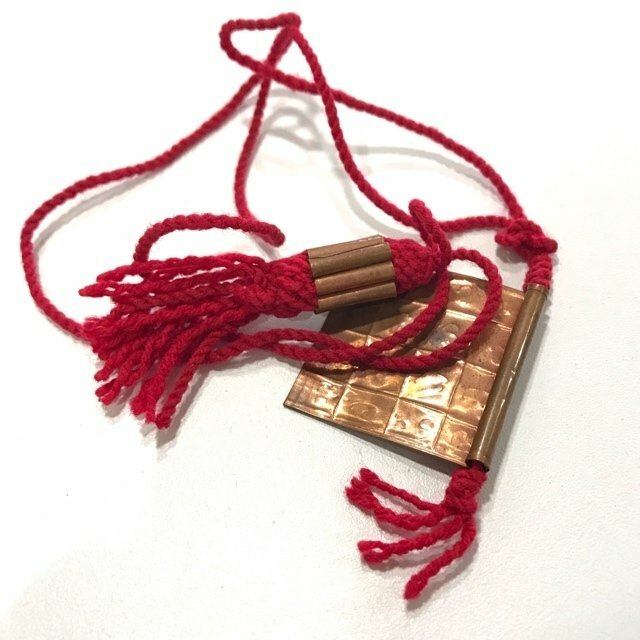 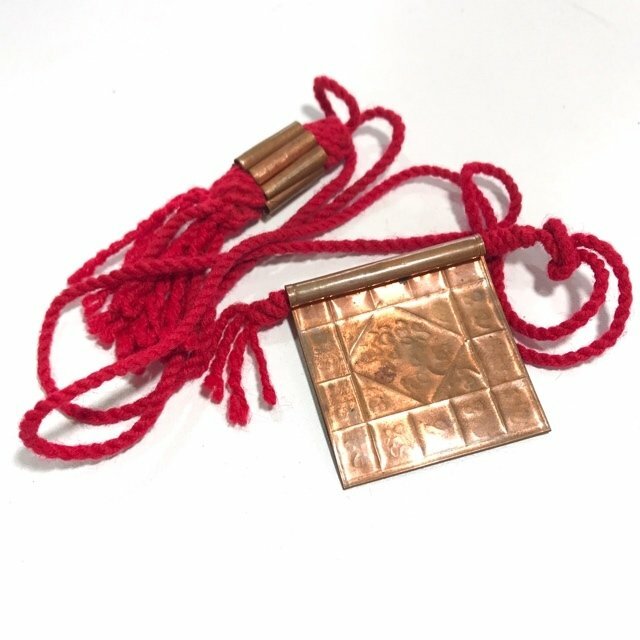 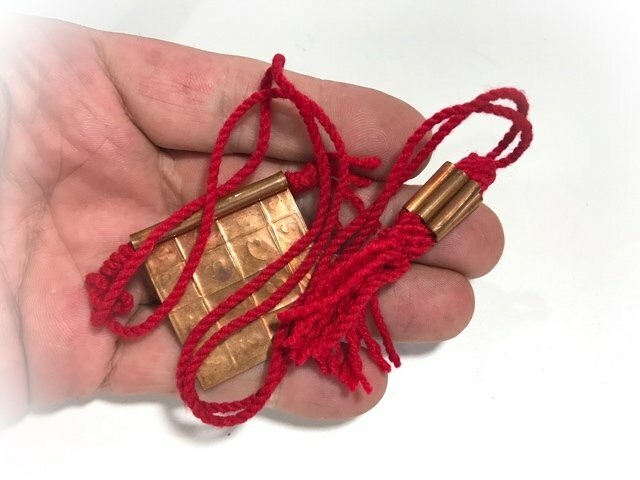 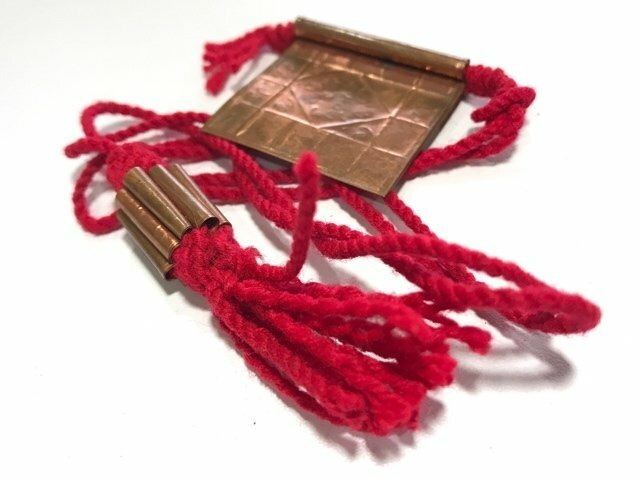 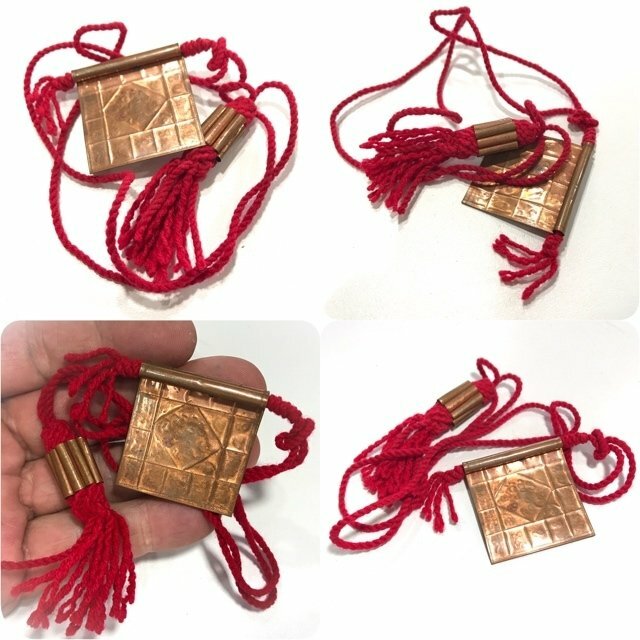 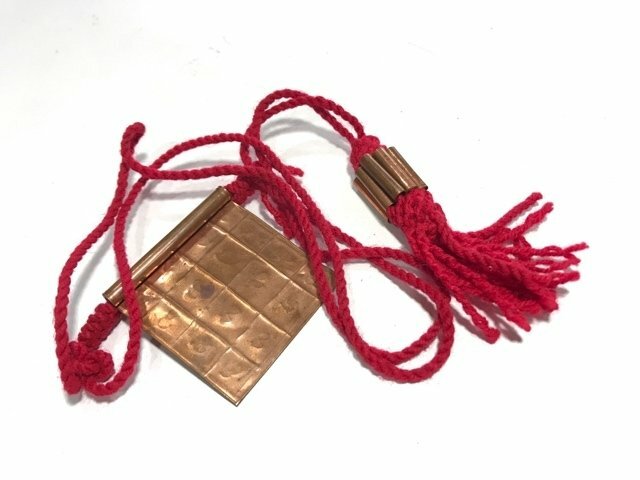 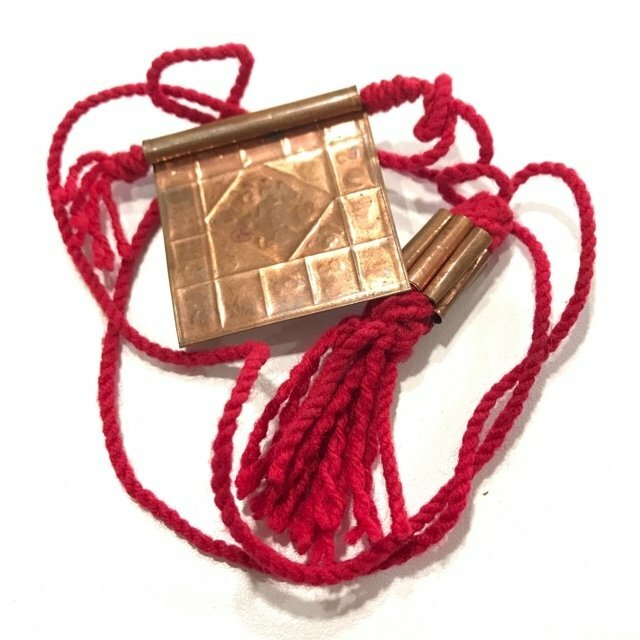 A rare Twin compendium of two Classic Lanna Amulets of the Great Kroo Ba Wang, the Takrut Gao Gum on spellbound cord, with Yant Hneeb folded Yantra Foil attached with enchanted 'Daay Daeng Akom' red sorcerer's cord, empowered with the Ancient Wicha Lanna by the Great Guru Master Monk and Deceased Ex Abbot of Wat Ban Den, Luang Phu Kroo Ba Wang. 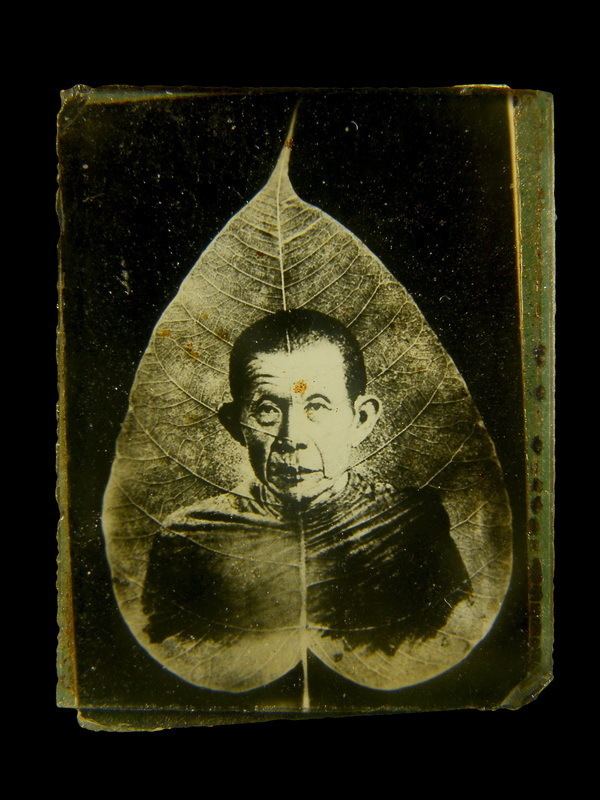 Estimated made during the late era of Kroo Ba. 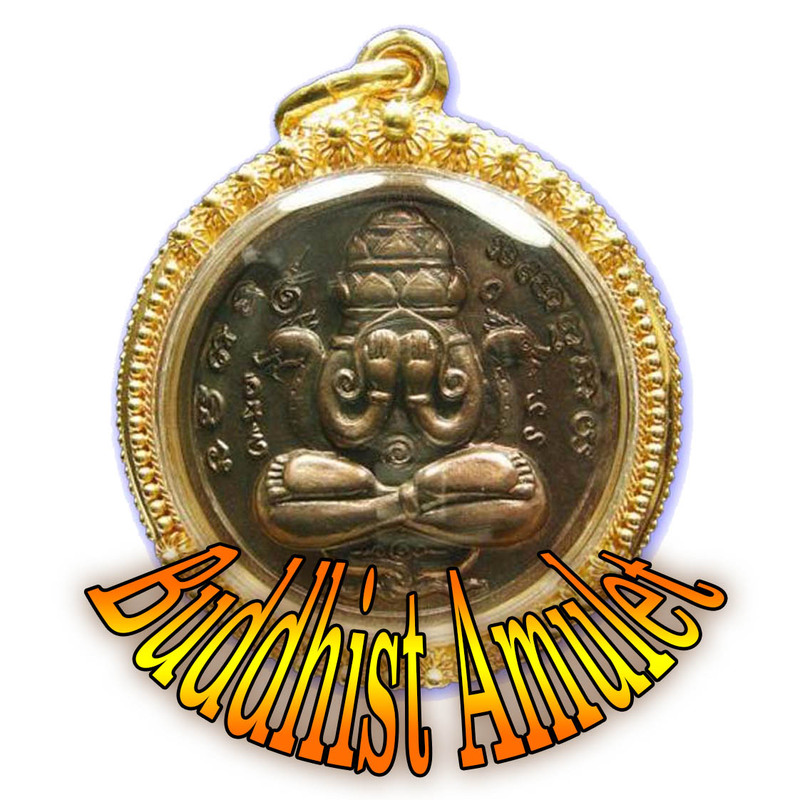 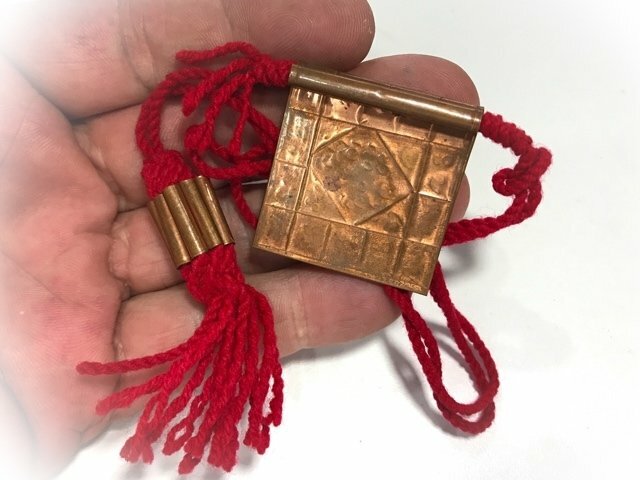 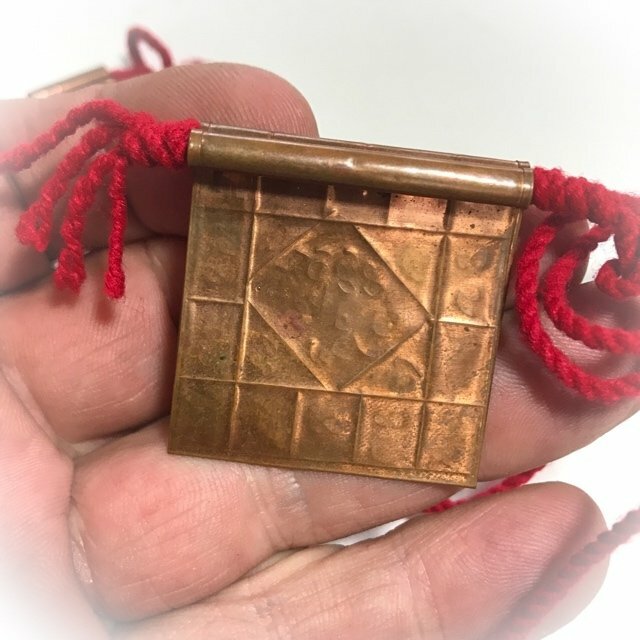 The Yant Hneeb Maha Sanaeh Maha Pokasap is an Ancient Lanna Yantra Foil spell Amulet for seduction and wealth accumulation. 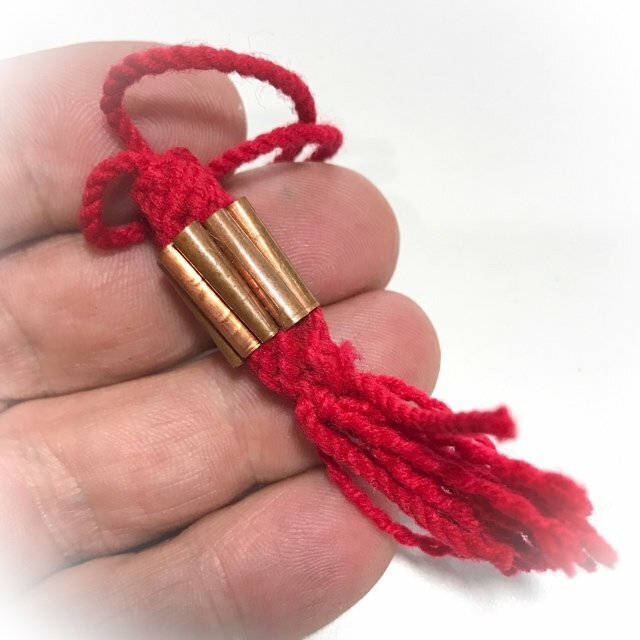 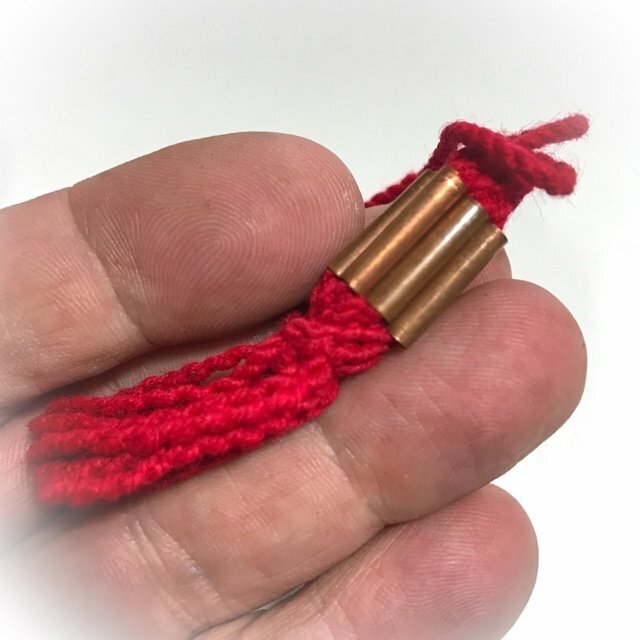 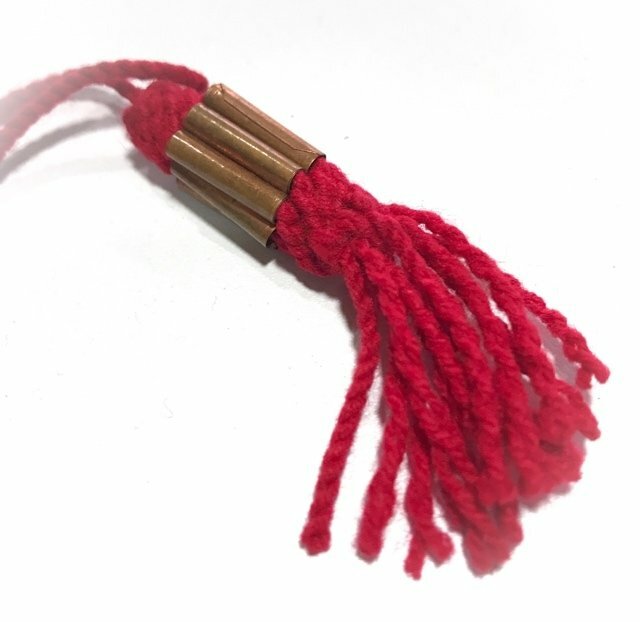 The Yant Hneeb can be opened and place a paper or parchment inside with one's desires, or the name of a person written on it (or hairs or other piece of clothing, or fingernail from the person you desire). 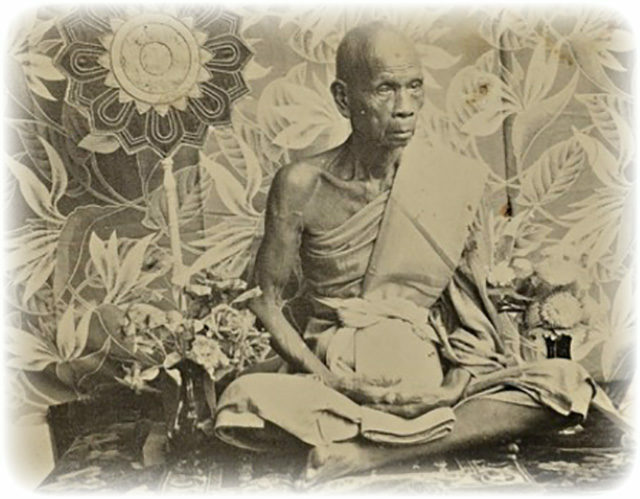 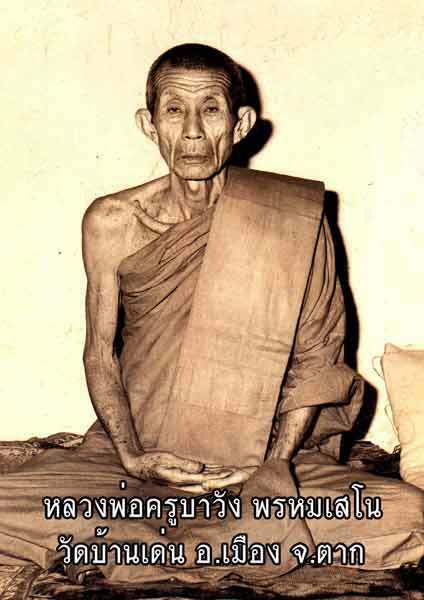 The Yant Hneeb is an ancient Lanna Wicha that has been used by the Lanna Folk for centuries, and which has been perpetuated by the Lanna Masters to the present day. 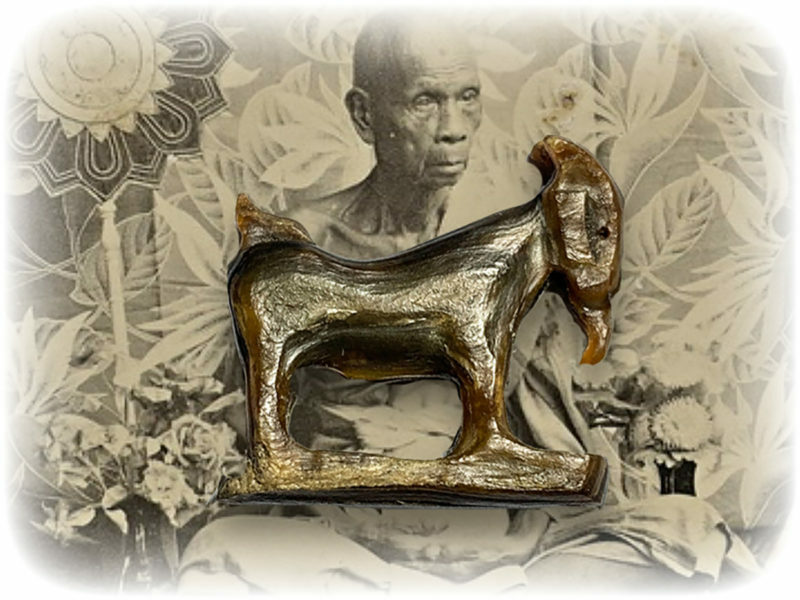 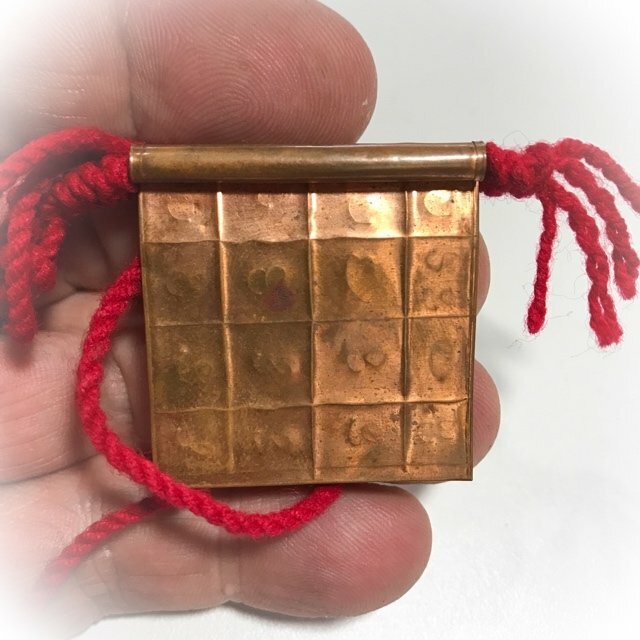 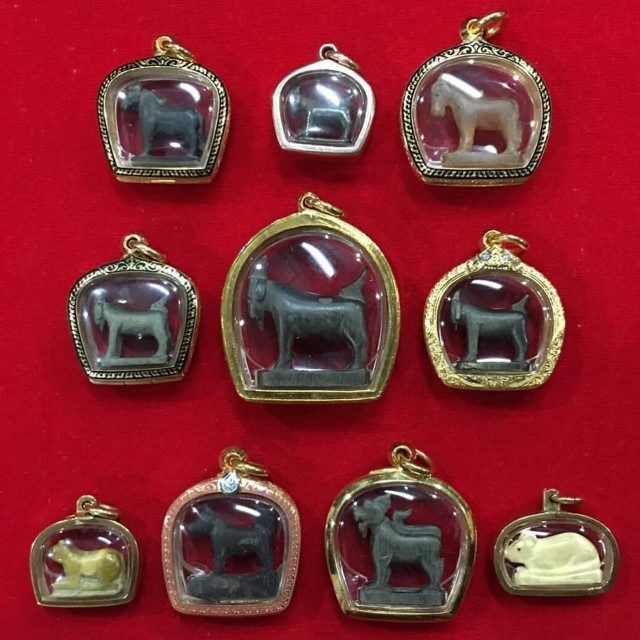 The Yant Hneeb of Kroo Ba Wang is one of the rarer amulets to find in circulation in the present day, and is a standard-bearer of the Dtamra Krueang Rang Lanna Pantheon of Talismanic Amulets of the Northern Lanna Region. 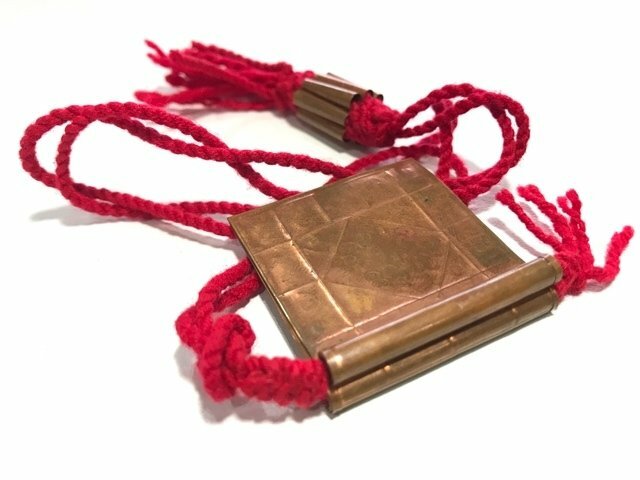 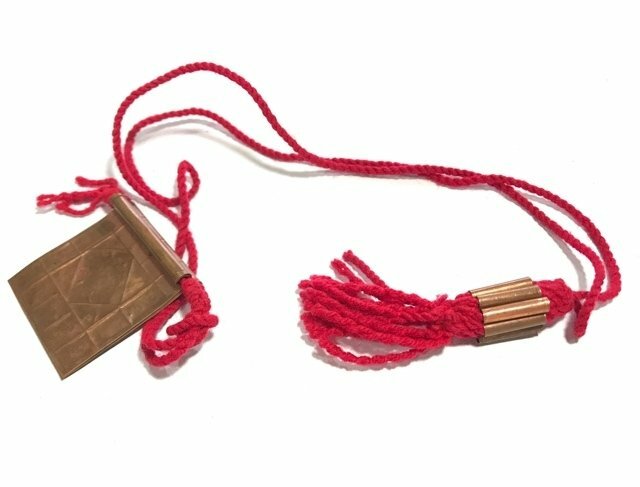 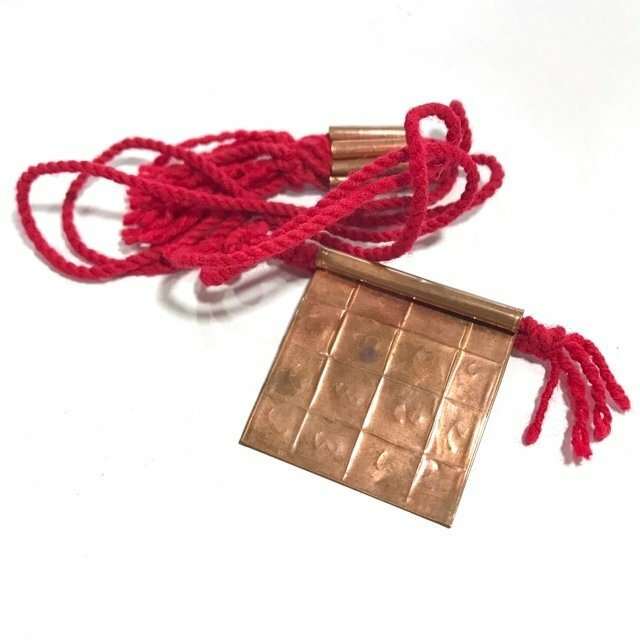 Kroo Ba Wang's Yant Hneeb can be considered not only a powerful magical Talisman, but also a Historically and Culturally Important Antique Sacred Artifact.